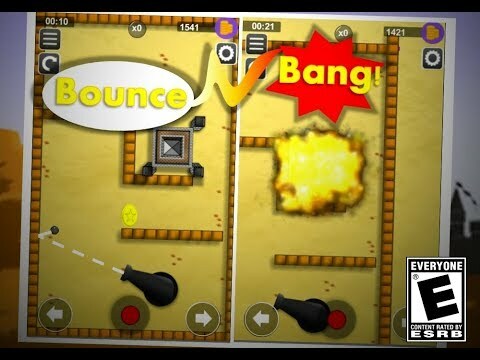 Using cannon, shoot your enemy or bounce cannon-ball through walls guiding it towards their building.Rotate cannon , place moving walls at suitable points, making the best angle ; just so when you open fire , ball hits the target. Each stage is a bit challenging to refresh your mind . Excellent brain exercise for the lovers of physics-based puzzle with amazing life-like mechanics. Not too difficult nor too easy its a fun brain game that every age player can enjoy.